The seminar "CMOS compatible disruptive materials to enhance the performance of silicon photonic devices" by Irene Olivares Sánchez-Mellado will be held on Tuesday 19th of March, 2019 at 3.00 p.m. in the room 7 (Povo 0). Claudio Castellan will preset his thesis "Second order nonlinearities in silicon photonics" on 22nd of March at 10.30 a.m. at the Polo scientifico e tecnologico F. Ferrari via Sommarive 5 in Povo -Trento (room A208). 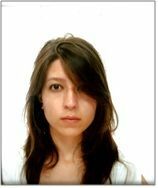 We are happy to welcome Irene Olivares who will join our lab as a visiting PhD student for the next four months. Irene will work on the strained silicon.